Konami has released a new single-player trailer for Metal Gear Survive, the first Metal Gear game since the publisher's split with Hideo Kojima. In the past, the trailers and footage from the game have emphasized the Survive aspect of the title and this trailer, despite focusing on the game's single-player, does much the same. 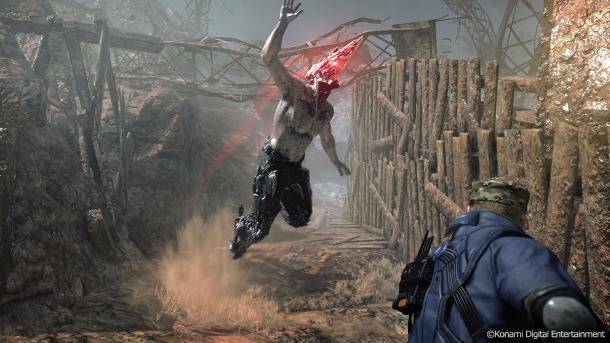 The protagonist slices trees to make weapons and fight off the zombies that make up the alternate universe Mother Base. You can check out the trailer below. Metal Gear Survive will run a beta on Xbox One and PlayStation 4 starting January 18 through January 21, which won't require PlayStation Plus but will require Xbox Live Gold. The full game launches on Xbox One, PlayStation 4, and PC on February 20. 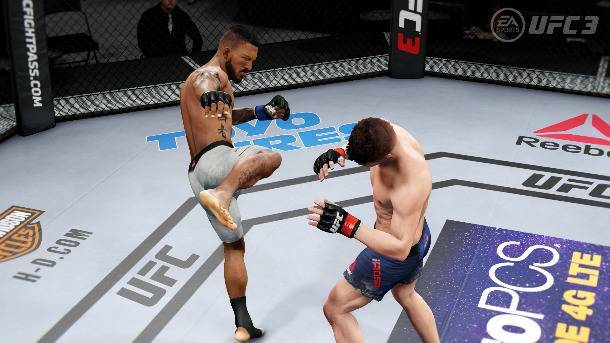 When UFC 3 was officially revealed back in November, we learned a little bit about its career mode, but the focus was largely on the retooled striking and animations. Now, EA Vancouver has pulled back the curtain to reveal the full breadth of the overhauled career mode that has you taking your fighter from young prospect to the greatest of all time. Bandai Namco has released a new character trailer for Goku Black on the eve of Dragon Ball FighterZ's release. 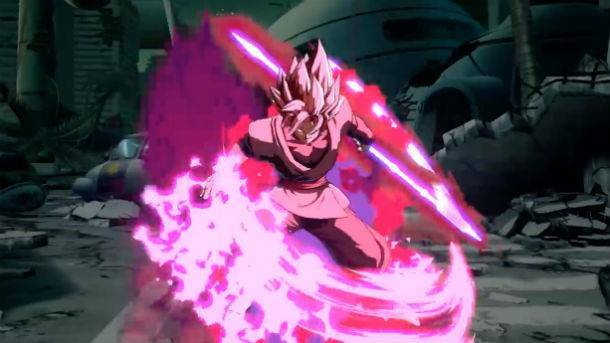 Prospective gamers can get a glimpse of Goku Black teaming up with Future Zamasu for a devastating attack, and that's not all. 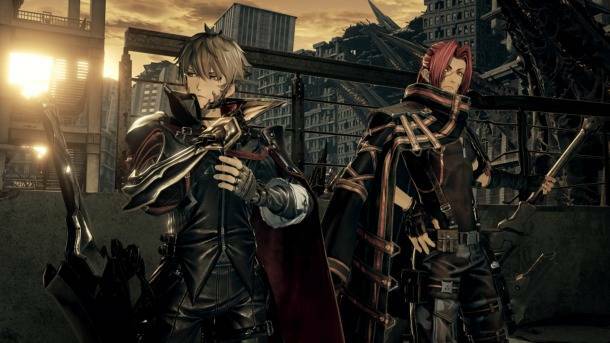 The game come out for PS4, Xbox One, and PC on January 26. 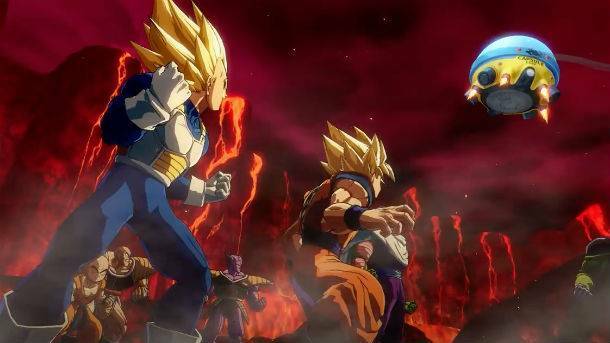 In the latest character trailer for Dragon Ball FighterZ, Vegeta shows off his Super Saiyan God Super Saiyan form. The new form adjusts Vegeta's moveset to focus on power moves and adjusts his supers for different attacks and angles than his Super Saiyan form. Some of you might be wondering why Vegeta is blue and why anyone would possibly name something Super Saiyan God Super Saiyan. I can't answer the second one, but I'll cover the first. When Goku confronted Beerus and got really, really badly defeated, it was reasoned that a ritual involving six Saiyans could transform him into the Super Saiyan God, a form with pinkish skin and red hair. It worked and Goku was able to fight more evenly against the God of Destruction. 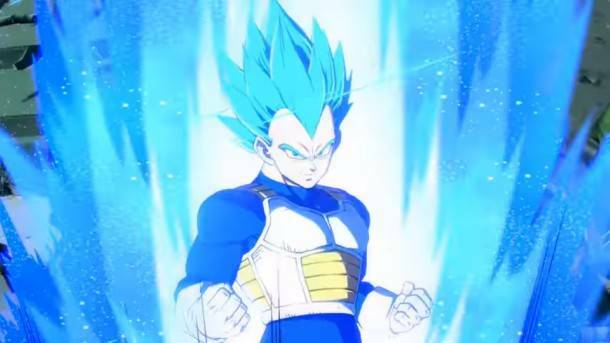 The blue form, Super Saiyan God Super Saiyan, is the Super Saiyan form of that God ascension, which both Goku and Vegeta achieved after training. Capcom has release new Monster Hunter: World footage, as well as the first details on its post-launch plans. 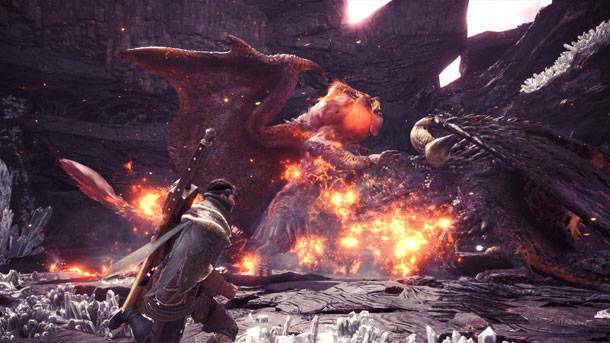 The new trailer features several of the game's Elder Dragons, including the steel dragon Kushala Daora and the flaming Teostra. In addition to those creatures, the clip shows Dodogma, a wyvern that feeds on rocks. After chomping on stone, his body converts the digested bits into an explosive substance that he can spit at his foes. Bandai Namco has released the intro video for Dragon Ball FighterZ, which is mostly made up of quick cuts and zoom-ins on the characters. The intro is using the in-game graphics to show off the entire roster of characters, obviously starting with Goku but then both Gohans get billing behind Trunks which is just crazy to me. You can check out the trailer below. 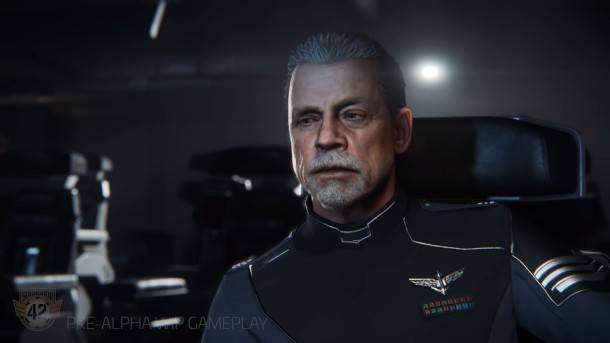 If you want to get hands-on with the game ahead of its release, you can check out the open beta on PS4 and Xbox One starting on January 14. Dragon Ball FighterZ is scheduled to release on PlayStation 4, Xbox One, and PC on January 26. 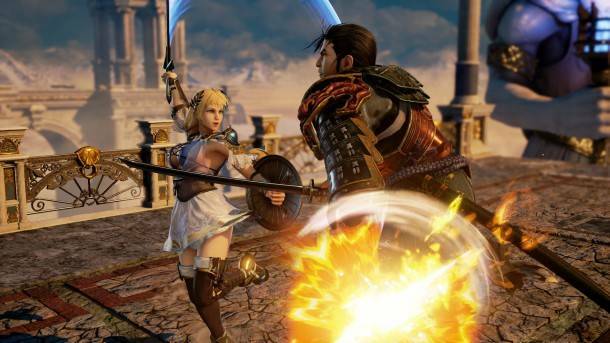 In a developer diary for Soulcalibur VI, producer Motohiro Okubo explains what makes this reboot version of Sophitia so special. Okubo kind of frames Sophitia as Soulcalibur's Ryu, making her a good character for novices who fights with an orthodox style. Okubo noted that Sophitia and Mitsurugi were the first characters made for the game and every other character was built around their style and visuals. Check out the developer diary below. Soulcalibur VI is scheduled for PlayStation 4, Xbox One, and PC in 2018. SSGSS Goku, A.K.A. 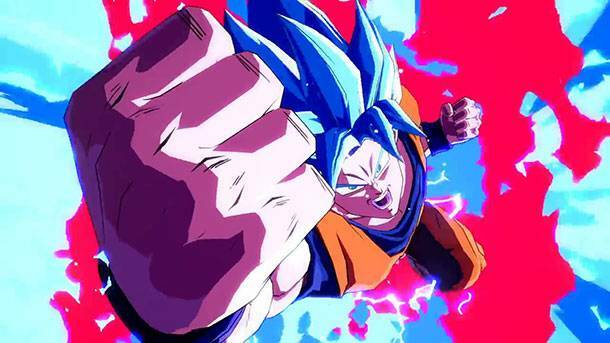 Super Saiyan Blue Goku, is not a newly revealed character, but the latest trailer for the game highlights him and shows off some of his more powerful moves. You can check out the trailer below which shows Goku achieving the new confusingly names god form, and use moves like his one-inch punch. Dragon Ball FighterZ is coming to Xbox One, PlayStation4, and PC on January 26 and pre-ordering the game nets you some in-game bonuses.